The pub scene is a rapidly changing one in Swansea and since our last news update on March 1, there have been several new developments. The good news is that The Dolphin in Llanrihidian has re-opened, much to the delight of locals and its many visitors from further afield. The pub shut its doors following the retirement of the former licensee Mike, but now his daughter Jennie is running the pub, along with her partner Calum Moffat. Jennie is the now the third generation of her family to run the Gower pub. 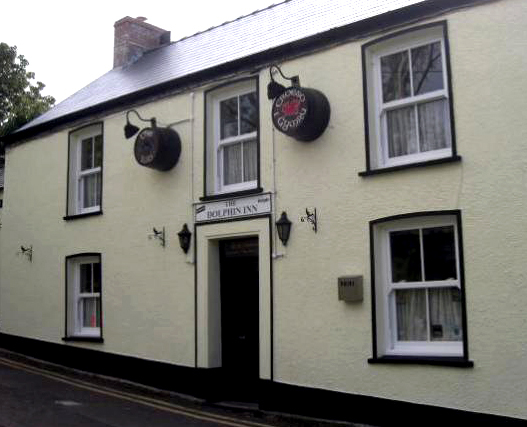 After a new lick of paint, the inn still has the same local pub atmosphere and serves three real ales – two Glamorgan brewery ales and Bass. Opening hours are currently Mon-Thurs 4-11. Fri-Sat 12-12. Sun 12-11. But that may be subject to change. Sadly two other Swansea pubs are not faring so well. The Singleton Hotel on Dillwyn Street, opposite the Grand Theatre, closed its doors last week for the last time. 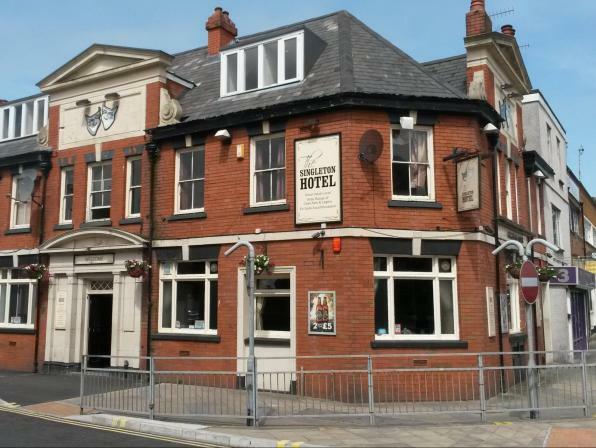 It is being sold and is believed it will be converted into flats. 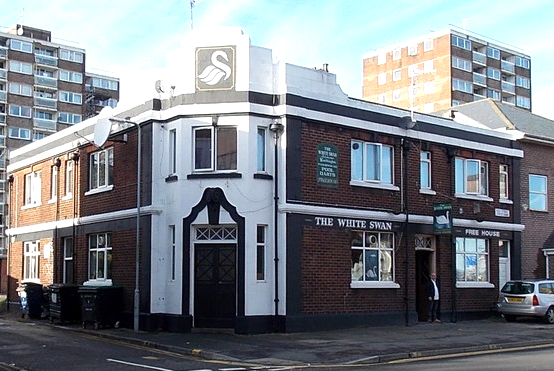 The pub was popular with football fans when the Swans’ home was the Vetch and the pub also provided accommodation for many of the stars appearing at the Grand Theatre, including Bob Monkhouse and Windsor Davies. White Swan, High Street, Swansea. Meanwhile, after a promising start, Gez Couch’s tenure at the White Swan on High Street has ended with disappointment. He brought back real ale to the pub for the first time since the 1970s and worked hard to turn it into a modern entertainment pub. But this week Gez announced he was the quitting because the area is blighted by violence, drugs and prostitution. 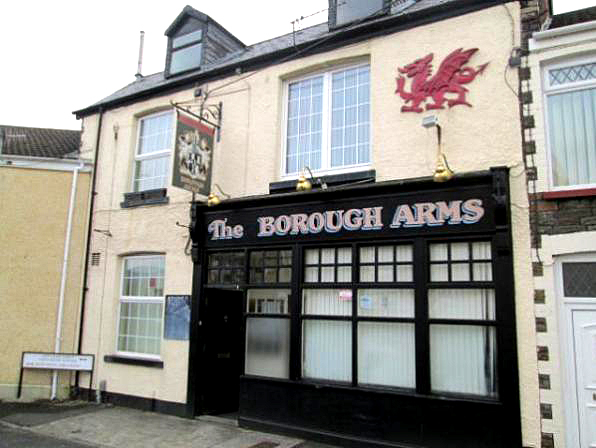 News just in – the Borough Arms at Neath is under new ownership but it still serving a range of real ales. Have you got any news about your local? Please leave a comment below.